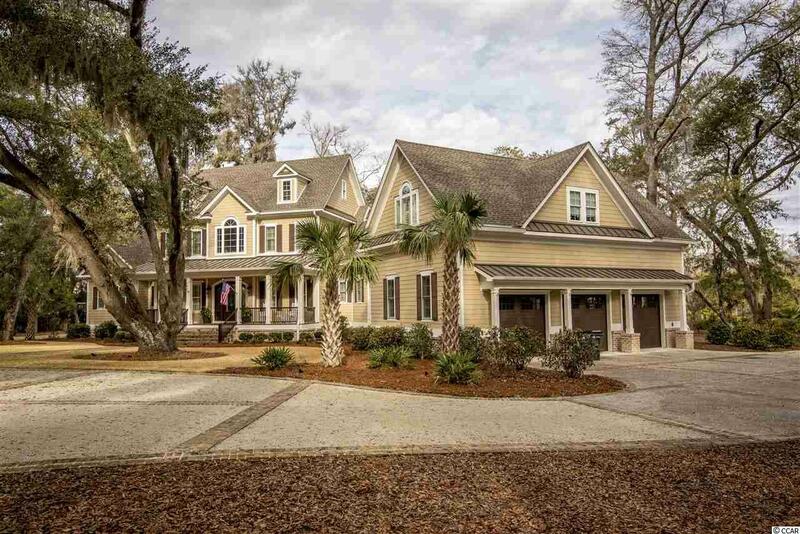 This "Southern Estate is nestled on 1.4 acres of exceptional land overlooking the Reserve Harbor Marina and the Waccamaw River. 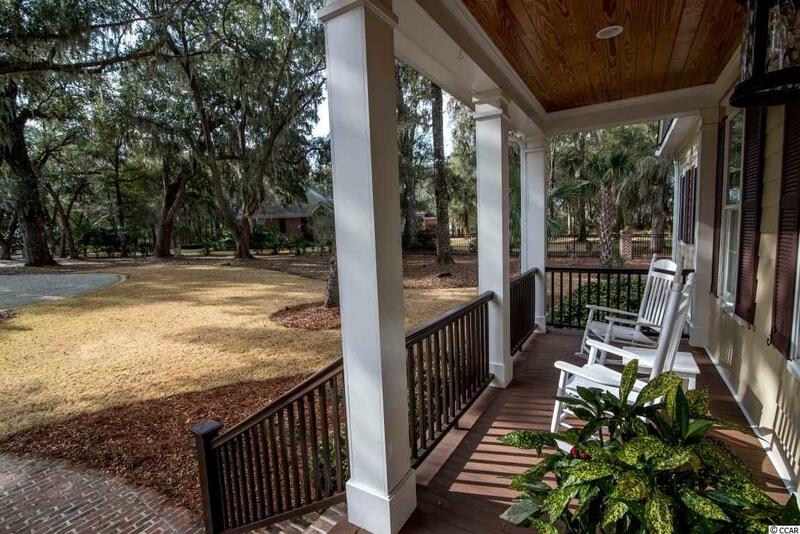 The property is heavily wooded with large stately oak trees, some of which are the finest "live oaks in the area. 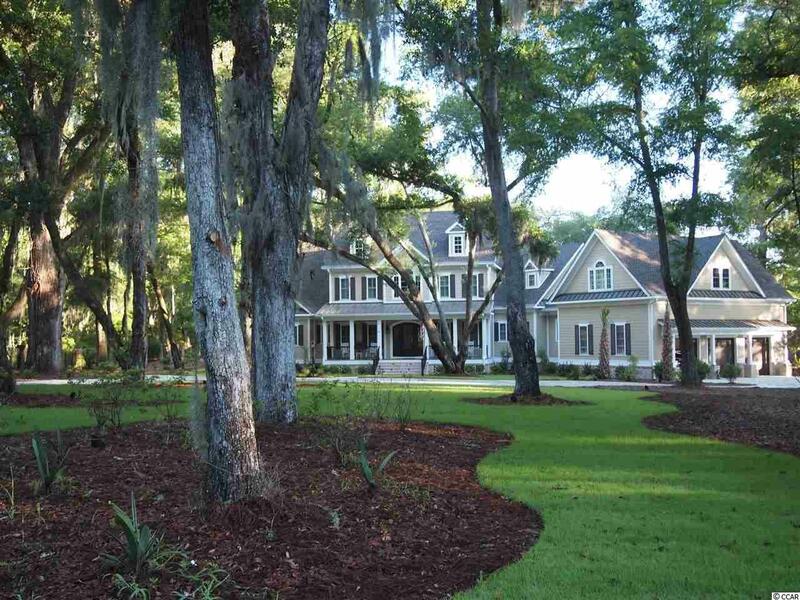 Located in a gated golf course community with a wide array of amenities available including the Harbor Club House, pool, tennis, fishing & crabbing, private ocean access and another clubhouse at Litchfield by the Sea. This home has 5 bedrooms, 4.5 bathrooms, a 20 x11 exercise room off the master bedroom, and an over-sized walk-in master bedroom closet. It also includes a 24x21 sunroom overlooking the river through walls of glass. Other rooms include a 16x16 study, 10x11 mudroom, and a state of the art theater room measuring 35x21 including big screen TV, 11 channel sound, a shuffleboard table, 200 bottles of wine storage, and a bar sink. Other features include full handicap accessibility with an over-sized elevator, 5 zone geo-thermal heating and a large generator, tank-less hot water, and extra insulation all leading to exceptionally low utility bills. 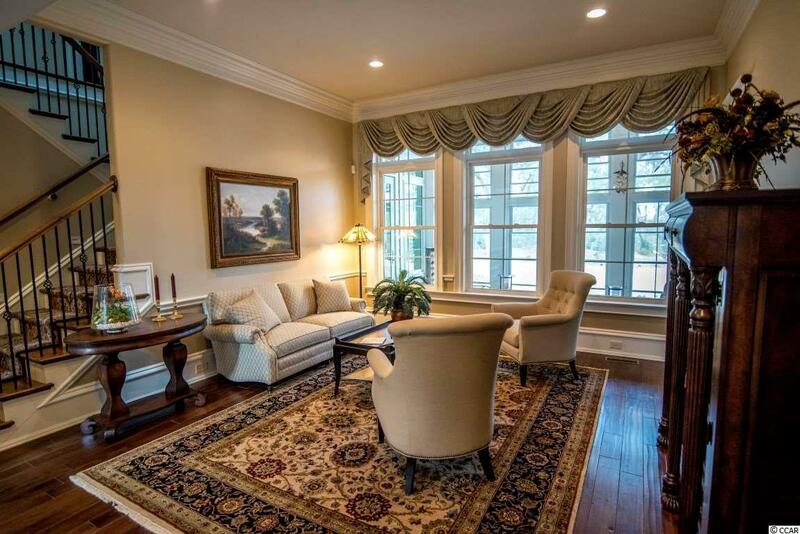 The home was built by a Master Builder and features hand-scraped hickory flooring, wood plantation shutters, extensive woodworking with extra deep windowsills, natural stone fireplace, 24x8 screened porch with EZ-Breeze windows, a huge gourmet kitchen with professional grade appliances, granite counter-tops throughout, whole house "smart wiring and a custom-built entry door. The home is set in a beautiful community with, a Greg Norman golf course, schools, loads of restaurants, shopping and a public library all close by. The famous Brookgreen Gardens is less than 5 miles away. Pawleys Island is 25 miles from Myrtle Beach and 90 miles from Charleston.